00:01: Awesome, I love spinning. This is great. I love this. 00:10: Still awesome, I love spinning, love the warm-up. Feeling good. 00:15: Hmm did they tighten the tension on these bikes or what? This is harder than I remember. 00:20: Maybe I should head out early, I do have lots to do at work. This is getting so hard. 00:25: Alright, I'm going to leave, I'm exhausted. 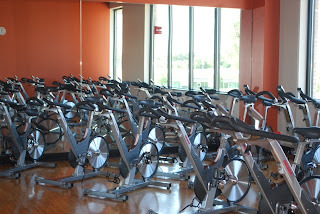 So, it takes me until the half-hour mark to really get into my spinning class, but it's totally worth it in the end. I have been researching all sorts of health related topics in the past few months. 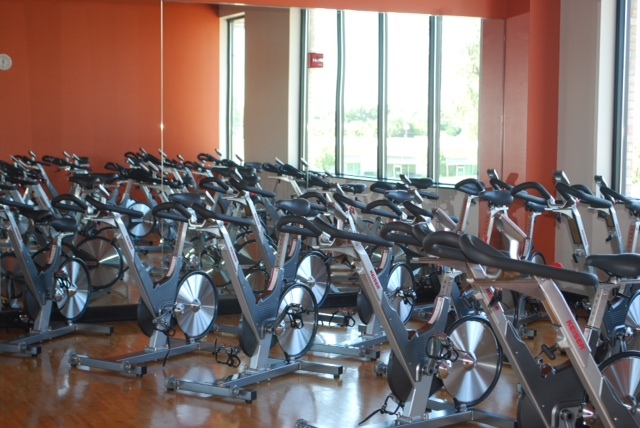 Spinning is not only a release of tension and stress, but it burns TONs of calories. What do you do to release stress? Does your physical health directly impact your mental health? Most definitely! My physical and mental health are so intertwined... mind-body connection for sure! My stress release is what I call "culinary therapy". Sometimes when I feel stuck in terms of my work or just need to relieve tension, I might cook or bake 3 or 4 different things, one after the other (or at the same time, depending on my level of craziness that day, haha!) There's something about the rhythmic chopping and stirring that takes me out of my mind and into my body and senses. Yoga does that too... I try and recognize what my body needs, whether it's a more dynamic flowing type of yoga sequence or a more restorative, gentle yoga. But regardless of which one, I ALWAYS feel better afterward!